The large street next to the Hotel Rosso Karuizawa is called "Nakasen-do", and in the Edo period it played the role of transporting people from Tokyo to Kyoto as one of the "five streets". Karuizawa provided healing and comfort to travelers as an 18th post town "Karuizawa Yado (hotel)" from Edo. Even now, Karuizawa is convenient for transportation, and it is very convenient to use as a base for extensive sightseeing to Nagano and Gunma. Based at the Hotel Rosso Karuizawa near the station, you can enjoy the beautiful Karuizawa, Also, you go for short trips. 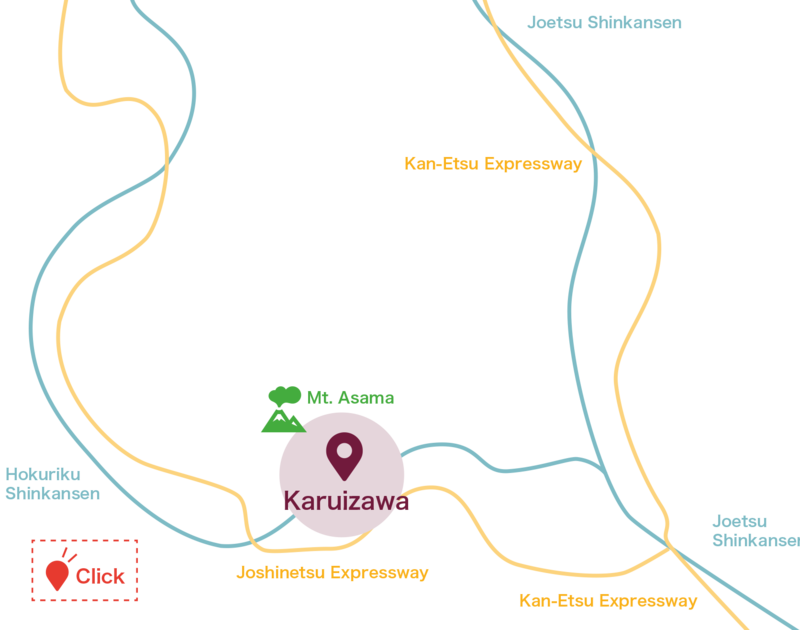 We will introduce the popular tourist spots in detail so that you can easily go by train or bus from Karuizawa Station, including detail of how to get on the bus. It is a very popular hot spring area that boasts the largest number of natural springs in Japan. The day spa facility run by the town is also renewed, so you can enjoy the beautiful facilities at a reasonable price. 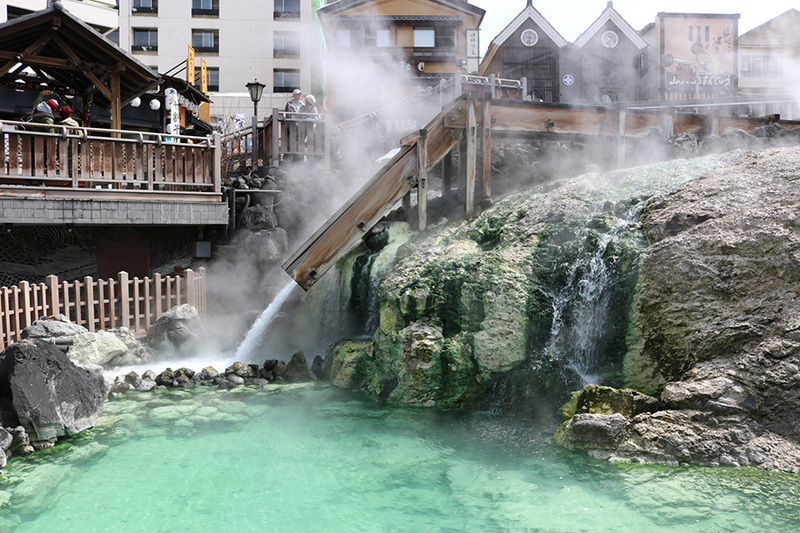 As you only have to get one bus from Karuizawa, you can get to Kusatsu Onsen easily. As there are few buses, you should check the timetable on the bus company webiste in advance. From Karuizawa Station, it takes about 1 hour and 16 minutes by Kusakaru Kotsu Bus. Reservation: Not required. As it is not a high-speed bus but a route bus, it is also possible to get off on the way. Fare: One way 2,200 yen (as of 2019 April) The fare is paid in the bus when you get off. As you cannot use electronic money such as Suica etc. or credit card, you should take cash. Try to take the exact money as change is not always available. ※No.1 Bus Stop is the bus stop for the Seibukanko Bus. Please note that it may not go to Kusatsu depending on the time of year. ※ Please check the latest timetable and fare on the bus company website. Ueda Castle built by Masayuki Sanada, the father of popular Samurai Yukimura Sanada, is known as an impregnable castle that held away the Tokugawa army twice in the first and second Ueda battles. 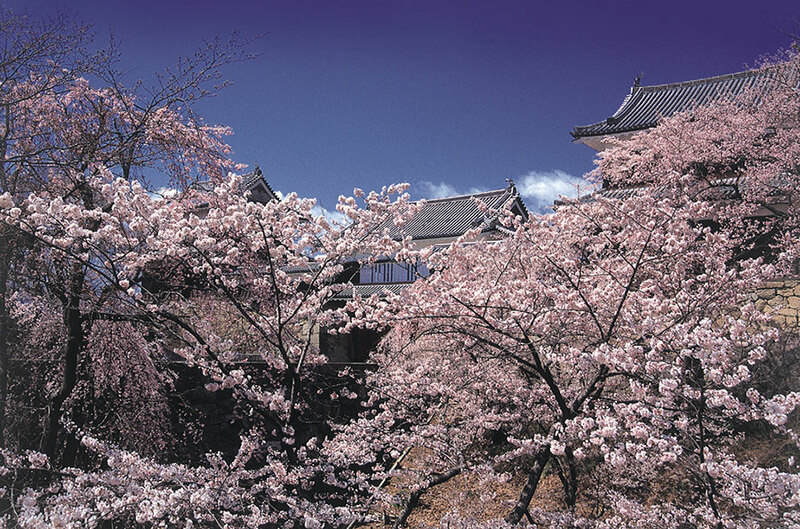 Ueda Castle has a lot of original features, such as sights that let you feel the old castle having Sanadaishi (Sanada Stone), Hori (Moat), Dorui (earthwork fortification) as well as Minami Yagura (the south turret), Kita Yagura (the north turret), Higashikoguchi Yagura Mon (Higashikoguchi turret gate) . At Karuizawa Station, get the local line Shinano Railway to Ueda Station (it takes about 50 minutes), OR take the Shinkansen to Ueda Station (about 20 minutes). From Ueda Station, it takes about 12 minutes on foot OR a takes about 4 minutes by "Michinaka Loop Bus" to "Koen Shiyakusho-mae Bus Stop ". • Aka Bus from Ueda Station, one way ticket is 200 yen. How to get Shinano Railway: Next to JR Karuizawa Shinkansen ticket gate, there is an entrance to the Shinano Railway platform. After buying a ticket from the automatic ticket machine, give it to the station staff at the gate to board the train. IC cards and credit cards payments, such as Suica, are not available. 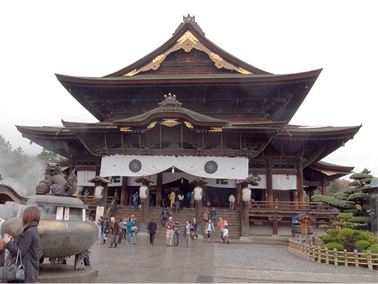 Zenkoji Temple is a non-sectarian independent temple with 1400 years of history. It is said that it has been collecting people's faith for a long time at the power spot where "if you go there even once in your lifetime, paradise will come to your life" and many Samurai soldiers joined this temple. You can enjoy not only temple visits, but also eating, walking and souvenir shopping on Nakamise Street. From Karuizawa Station, it takes about 30 minutes by the Shinkansen to Nagano Station. From Nagano Station, it takes about 15 minutes by bus to Zenko-ji Temple. The Shinkansen, one-way ticket is 3,160 yen. "Binguru-go" bus, one-way ticket is 150 yen. Buses are local buses, so reservations are not required and fares will be paid on the bus. Snow Monkey Park Jigokudani-Yaenkoen "Hell Valley"
In northern Nagano Prefecture, surrounded by steep mountains and cliffs, there is an area called "Jigokudani 'Hell Valley'" because of the gushing fountains, which constantly emit gases, and the natural habitat for Japanese monkeys. 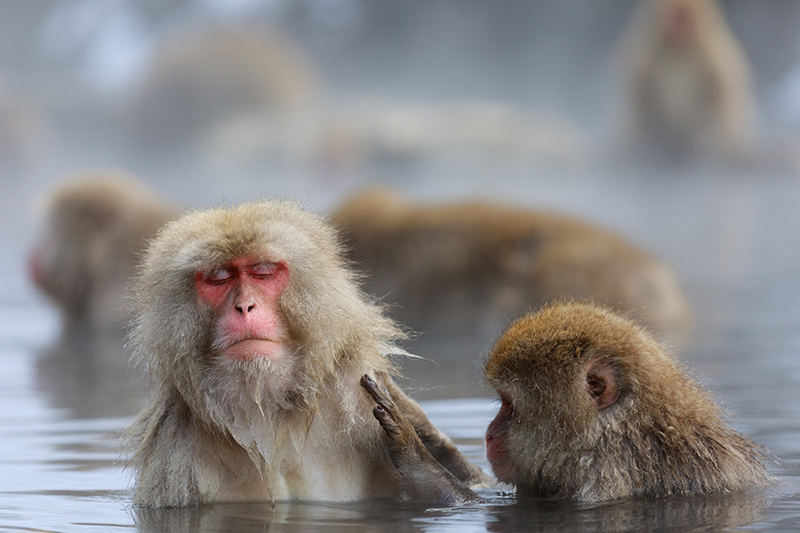 It is a popular spot visited by tourists from all over the world who want to see these unique monkeys bathe in the hot springs! From Karuizawa Station, it takes about 30 minutes by the Shinkansen to Nagano Station. From Nagano Station, it takes about 40 minutes by bus to "Snow Monkey Park" bus stop, and from there, it takes about 35 minutes on foot to Jigokudani-Yaenkoen "Hell Valley". There are dirt roads on the way, so it is advisable to wear sneakers or comfortable flat shoes. The fare will be paid in the car when getting off. IC cards and credit cards payments, such as Suica, are not available.